You should consider Hotel Iberostar Colonial if you want a great value all-inclusive holiday in an area renowned for beautiful beaches, particularly if you want to feel like you are in Cuba rather than just an identikit Caribbean all-inclusive. 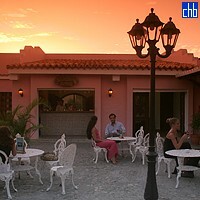 Hotel Colonial is uniquely designed to resemble a Spanish colonial village with a number of picturesque buildings & a real community feel. 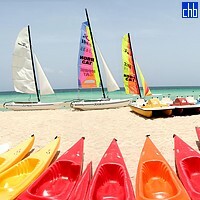 The charming layout, in tandem with the famous local hospitality, will certainly let you know you’re in Cuba, even before you hit the white powder sand & crystal clear water of the beach. There is plenty to see & do at Iberostar Colonial for guests of all ages, from beach watersports to tennis & volleyball; from relaxing around 3 great pools to fantastic bird-watching, on an island famed for its flamingos. 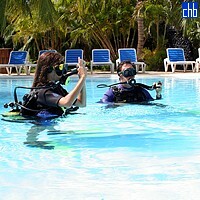 There is also a fabulous daytime & evening activity programme, with great music & entertainment. Iberostar Colonial has a buffet restaurant, 3 a la cartes & 2 snack bars which each serve good food in reasonable variety, so you should never run short of culinary options. There are also 6 bars, including an elegant piano bar where you will find excellent live music & the perfect way to unwind after dinner. There is also a disco for those who want to party into the early hours. Whether you are travelling as a couple, group or alone, Hotel Iberostar Colonial will deliver great value & a memorable Cuban experience whatever you seek from your holiday. This the very first hotel built on Cayo Coco and it was inaugurated by Fidel Castro in 1993 with the name of Guitart Cayo Coco. 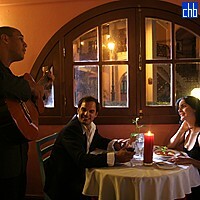 It was then known as as Hotel Blau Colonial and more recently as Hotel Cubancan Colonial. There are 458 standard rooms at Colonial which have either garden, river or pool views from a small balcony, though ocean view rooms are available via upgrade. All standard rooms are ensuite with air conditioning, satellite TV, safe & mini-bar. 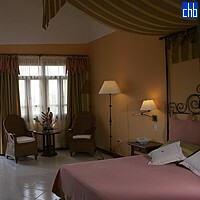 The rooms are well appointed, spacious & clean. With such a uniquely-designed complex, most rooms generally provide charming views. If you would like a little extra luxury & an ocean view, upgrade to one of Colonial’s 12 suites, which are not only larger than standard rooms but include a jacuzzi bath. These spacious standard rooms are located at the front line and offer magnificent view of the ocean.